My Little Pony fans will love this My Little Pony Style & Groom Rainbow Dash Pony. 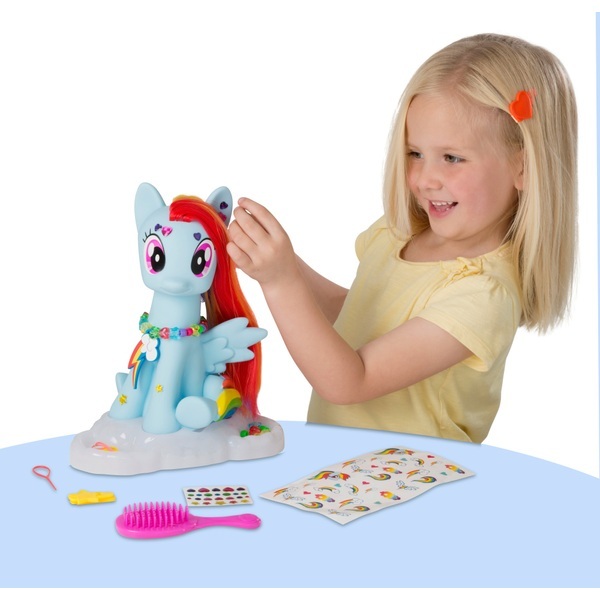 Now you can comb her rainbow locks and accessorise using the hair beads, bobbles and mane grips. Styling Pony also includes a selection of colourful cutie mark stickers, gems and a Rainbow Dash's special cutie mark charm.